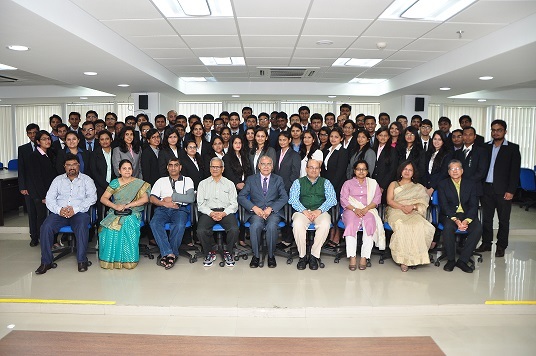 The Induction Programme of Fifth Post Graduate Programme in Management (PGP), Mumbai Batch 2016-18 was held at IIM Indore Mumbai Campus on July 15, 2016. The inauguration took place in the presence of all the 71 students registered for the programme along with their parents. Discussing about the importance of lessons beyond the intramural learning, Mr. Padmanabhan said, ‘Learn from the events and happenings outside the classroom and books and build a strong network. Know what collaborative learning is, as MBA would be a life changing journey for you all’. 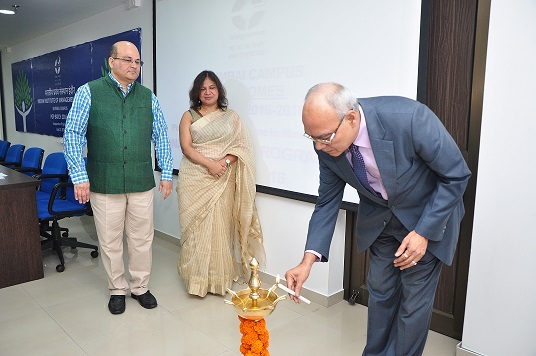 He walked the participants through his journey till now which encompassed the four building blocks of his life– his school, his engineering college, IIM Bangalore and his work with the Tata Group. 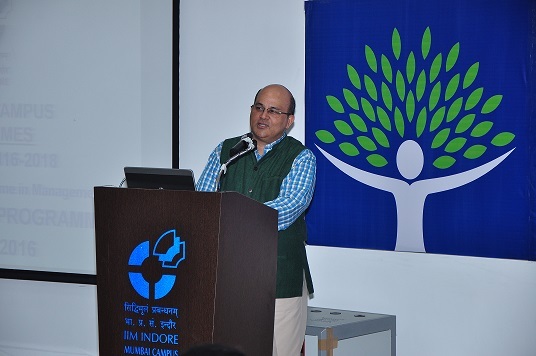 Professor Rishikesha T. Krishnan, Director, IIM Indore welcomed the students and said that the entry into an IIM ensures good job, lifestyle and income, but the students need to seek something more in life. 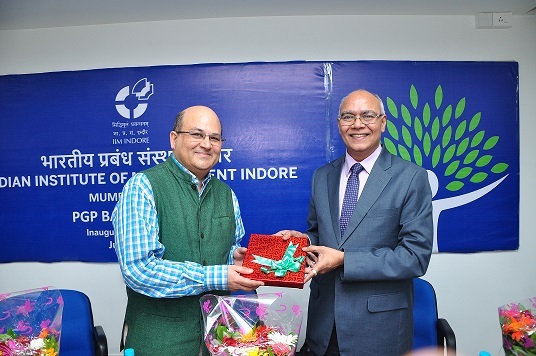 He encouraged the students to go into social and entrepreneurial sectors. ‘Now is the time when you would build yourself as individuals, so that you achieve something significant for your family and the country’, Professor Krishnan said. 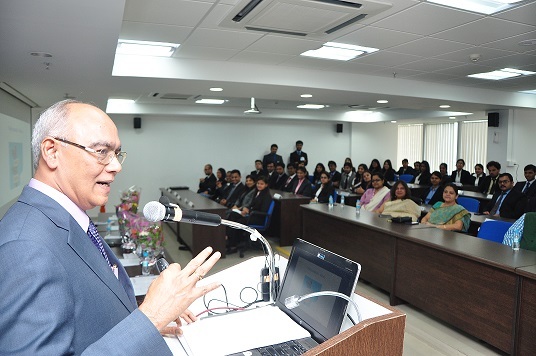 Since Mumbai is the financial capital of the country, he advised the students to tap into the business network in Mumbai. 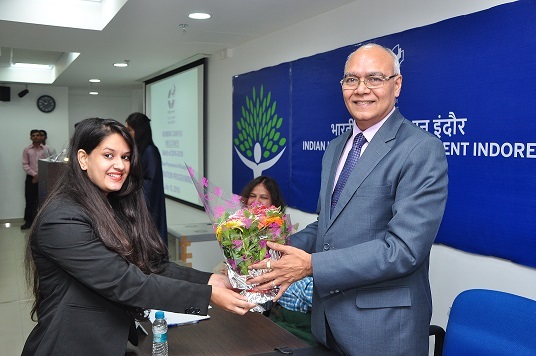 The event concluded with a briefing about the two year MBA programme to the students by the PGP Mumbai Chair, Professor Meenakshi Gupta Aggarwal. Students were also sensitized about Gender Diversity, Government of India Directives on ‘Prevention and Prohibition of Ragging’.